See and hear from some of our satisfied Shadow Trailers customers! DEB HINTON (pictured with Bridget Bardoc) - "I love my Shadow Trailers Gooseneck!" CLEMENS, JUDY & DANIELLA DIERKS - "We couldn't do without our Aussie Shadow Pro Series 3H warm blood float." 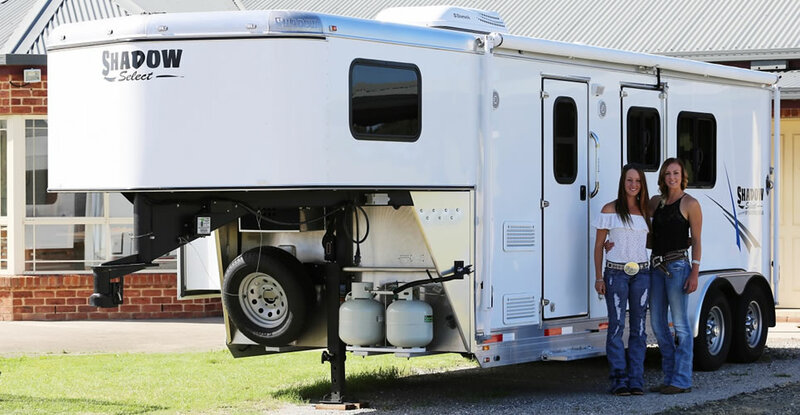 THE GIBSON FAMILY - "We looked at other Imported and Australian built Gooseneck models, however, Shadow Trailers won us over with their unique LQ designs, Slide Outs at a fraction of the cost of their competitors and a clear direction to ensure their trailers are safe for us and our horses."